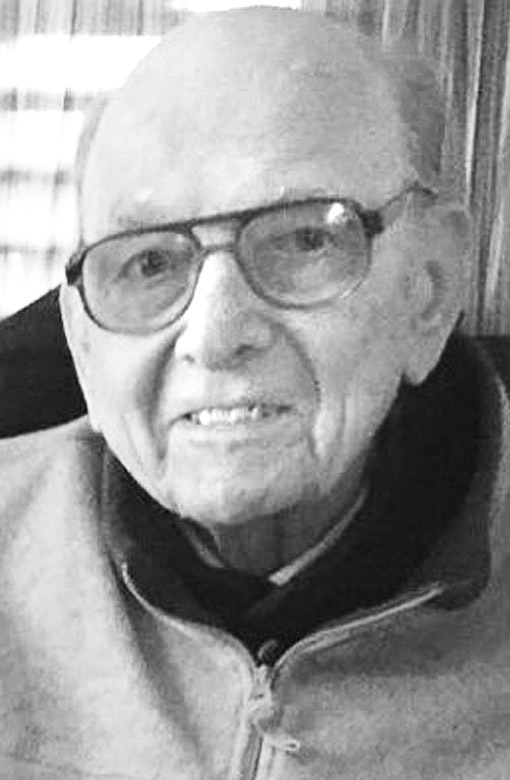 Stanley A. Sitarz, 101, born January 23, 1917, passed away on Sunday morning, December 2, 2018, at Woodland Hills Assisted Living Home. He was the son of the late Sofia (Ciak) and Joseph Sitarz. His wife of 29 years, Catherine “Kay” Mucha Sitarz, died in 1977. Stanley was the second of 10 children and was predeceased by siblings who died as children: Helen, Joseph, Mary and Theresa, and his brother, John, who was killed in World War II. He was also preceded in death by his sisters, Ann Sitarz Kosin, Laura Sitarz Kolanko, and Genevieve Sitarz Poszywak. Stanley is survived by his daughters, Anne Sitarz, Ph.D. (Stuart Cary) of Richmond, VA and Nancy Sitarz, DVM of Alexandria, VA; and his four grandchildren, John Spalding of Weirton, Alexander Spalding of Akron, David Cary and Catherine Cary of Richmond, VA. Stanley is also survived by his loving sister, Bernice Sitarz Krayzel, and many devoted nieces and nephews and their families. Stanley was a lifelong resident of Weirton, starting out working for Weirton Steel as a messenger boy at the age of 13. He eventually retired as a shearman in the Strip Steel. He took time off from the mill to serve in the Signal Corp of the Army Air Force during World War II. From the very beginning, Stanley’s life revolved around Sacred Heart of Mary Church where his parents were among the first members. He grew up on the same street as the church, attended school there and rang the church bells. He was active in church ministry, serving as a Eucharistic Minister and head usher. He was part of the team that brought communion to ailing members of the parish and many were comforted and cheered by his gentle attentiveness and his ever-present sense of humor. Helping others was a way of life for Stanley and he was the first to lend a hand to his sisters, his neighbors, to the church bingo and to most anyone. This generosity was returned to him as he started to need help himself. He had a true servant’s heart and touched many lives. The family would like to thank the amazing staff at Woodland Hills for the exceptional and personalized care that they gave Stanley during the last three months. Many thanks to his Sacred Heart friends who bantered with him and always sent him home with care packages of delicious food and goodies. And thanks to his wonderful Collins Way family who were always there when anything was needed. Thanks to John Spalding for his helpful caretaking this past year and very special appreciation to our Aunt Bernice who was so faithfully watchful and lovingly attentive to her big brother. A visitation will be held on Thursday, December 6 from 6-8:30 p.m. at Greco- Hertnick Funeral Home, 3219 Main St., Weirton, WV. A rosary will be recited at 6 p.m.
Mass of Christian Burial will be held on Friday, December 7, at 2 p.m. at Sacred Heart of Mary Church with The Reverend Father Anthony G. Thurston officiating. Entombment will follow in St. Paul Cemetery, Weirton. In lieu of flowers, donations may be made to Sacred Heart of Mary Church, Post Office Box 2247, Weirton, WV 26062. Share tributes and memories at www.greco hertnick.com. 304-748- 3219.